Geraldine Steel is reunited with her former sergeant, Ian Peterson. When two people are murdered, their only connection lies buried in the past. As police search for the elusive killer, another body is discovered. Pursuing her first investigation in York, Geraldine Steel struggles to solve the baffling case. How can she expose the killer, and rescue her shattered reputation, when all the witnesses are being murdered? 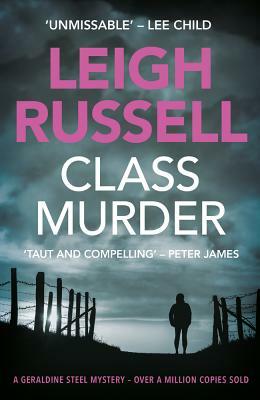 Leigh Russell is the author of the Detective Inspector Geraldine Steel series, as well as a spin-off series featuring Geraldine Steel's sergeant, Ian Peterson.